Becoming a mother can be one of the most rewarding experiences for a woman, however, the process takes its toll on the body. 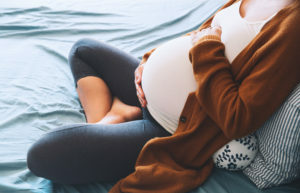 After pregnancy and going through childbirth, a woman’s body undergoes many changes that can leave her less than thrilled with the new shape that her body has taken. Sometimes there are things that diet and exercise just can’t fix, which is when a “Mommy Makeover” may be the best option. Dr. Duboys has years of experience in performing these types of surgeries and is Board Certified by the American Board of Plastic Surgery. He performs all procedures in his AAAASF (American Association for Accreditation of Ambulatory Surgery Facilities) approved in-office surgical facility, or a one of the local area hospitals. becomes greater than its parts. Each procedure having its own distinct advantage, makes your results more dramatic! This is especially noticeable when adjacent areas of the body are sculpted and refined. For example, the results of breast augmentation or breast lift are enhanced when the abdomen is contoured with liposuction and/or abdominoplasty. When a woman obtains surgical care to correct the effects of motherhood, she frequently finds that she feels more like her prenatal self – confidence is constantly rising and her outside appearance aligns with her internal vibrancy for life. During your consultation, Dr. DuBoys will recommend and explain his recommendations, including comprehensive details of surgery, including risks and complications, post-operative activity, scarring, etc. as well as answer any and all questions that you might have. It is not necessarily “wrong” to have a Mommy Makeover if you plan to have more children. Keep in mind, though, that your body will change as a result of pregnancy and breastfeeding. This could mean that you eventually find yourself wanting subsequent surgical procedures to address those changes. It may be in your best interest, both financially and physically, to schedule your makeover process after your final pregnancy. Can I Have More Than One Procedure at the Same Time? Surgeons usually perform procedures like this at the same time, or spaced out over a series of appointments. All procedures are on an ambulatory basis. Why is it Best to Have These Procedures at One Time? Ultimately, the benefit that comes from the combination of cosmetic procedures is that there is one process; one surgery day and one recovery period. This can cut down on the financial aspects of surgery as well as the time needed away from work and the responsibilities of parenting. Mommy Makeovers surgery should only be in effect after a minimum of 6 to 8 months after delivering your last child. As it is with any surgical procedure, it is important to make sure that you are in good health. Your weight should be realistic and stabilized. Depending on the types of procedures elected, Mommy Makeover surgery can last between 3 and 5 hours. When surgeons perform this procedure, they are typically using general anesthesia on the patient. The objective in performing a Mommy Makeover is to give you ideal, realistic results. After undergoing Mommy Makeover surgery, patients must abstain from physical exercise for at least 6 weeks. Patients will be prescribed antibiotics to reduce the chance of infection as well as pain medication to manage any post-operative discomfort. Drains will typically be used in the abdomen, and are then removed by Dr. Duboys several days after surgery. For those patients who have chosen to have either a breast augmentation or breast lift, you’ll need to wear a surgical bra (provided to you) for 4-6 weeks after surgery. If you are finished having children and would like to restore your body – you are an ideal candidate for Mommy Makeover surgery. Dr. Duboys has been serving the Long Island, Nassau and Suffolk County, NY area performing cosmetic surgical procedures for over 30 years. All of his surgeries are performed in his in-office fully accredited surgical suite or at a local hospital. Please call our Long Island office at (631) 423-1000 to schedule your Mommy Makeover consultation. Dr. Duboys will thoroughly explain all aspects of the procedure(s) and outline the type of results that you can expect to see.